Women in 22nd-century sovereign America are expected to be seen and not heard. Caitriona Hayden did not get that memo. As she struggles to make her way in the world after her powerful uncle dies, being "seen" is the least of Cait's problems. Someone's trying to kill her. Theo Pendragon claims Cait as his ward and is ordained to guard her and protect her. The dragon finds more than he expects, however, as the flames of passion are ignited within him for the first time. Theo isn't the only one who feels this way about Cait, however. He must learn to fight for what he wants, even if it means risking his closest friendship. Theo's beloved friend, Dante, a powerful demigod, has spent hundreds of years in pursuit of intellect at the expense of indulging in desire. Everything changes, though, when Cait arouses an undeniable attraction. But Dante isn't the only one with a vested interest in Cait's future. An ancient vampire named Corrin rules America and sees love as frivolous and unnecessary. He can't deny, though, that a proper queen would improve his approval among the people. More so, marrying Cait could hold the key to his survival. Love, desire, and need force Cait into an impossible situation with dire consequences. Cait's life changes drastically - going from studying for college exams to fighting for a future she never even knew she wanted and for a man she never even imagined she could love. One secret she has yet to uncover is the key to her future. 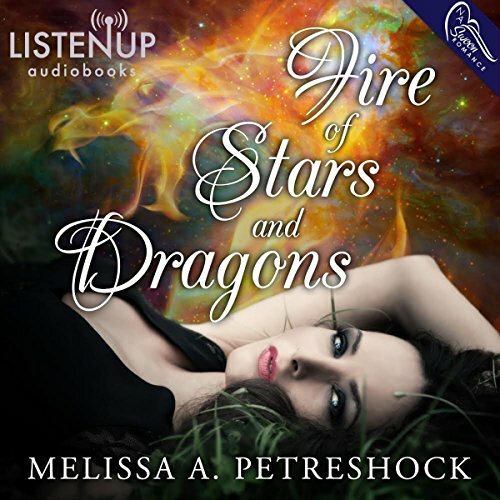 Fire of Stars and Dragons is the first book in the exciting Stars and Souls trilogy. A Dragon, A Demi-God, & A Vampire...Oh My!